With a distinctly contemporary and adventurous vision, Heritage Blues Orchestra takes its audience on a rare musical ride. The group carries us over the main highways and big-city streets as well as the dusty back roads of the American south while weaving its way to the crossroads where Blues and the roots of early Jazz were born. H.B.O. draws its sound from field hollers, work songs, spirituals, soaring gospel voices and the hard-driving rhythms of the deep Blues from the delta and the hill country of northern Mississippi. The group is driven by three voices, two guitars, drums/percussion, harmonica and a fiery four piece horn Bill Simms Jr. section (tuba, 2 trumpets, trombone, saxophone). Spotlighting male and female voices, bold brassy sounds of New Orleans as well as modern jazz horn sounds and a heavy back beat, H.B.O. 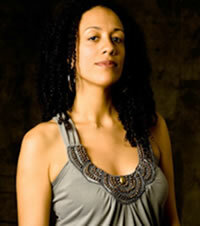 serves up a powerful and compelling new take on America's Blues heritage. 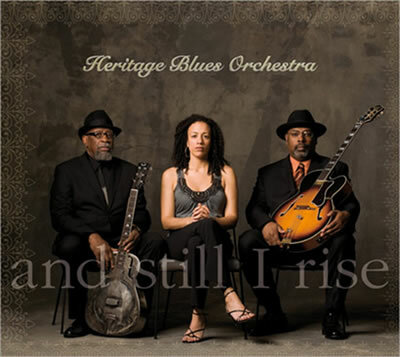 With an emphasis on musical exploration, Heritage Blues Orchestra digs into innovative musical territory making a unique and exhilarating contribution to the African-American musical canvas. The Heritage Blues Orchestra so deeply satisfies the soul to go out on a Saturday night and watch a real-deal, low-down blues band or a bold, brassy New Orleans combo…or a horn-heavy jazz group painting with striking colors and subtle shades of harmony. If you are lucky enough to be seated in front of the Heritage Blues Orchestra, you’ll witness all of that. And when the riveting Chaney Sims and her father Bill suddenly swerve into an a cappella work song before Junior Mack’s heaven-sent voice and searing slide guitar storm back in, you’ll recognize this group as something breathtakingly new even as old African-American musical traditions rise up to meet you. How can something so firmly rooted in the past still seem so adventurous even audacious? 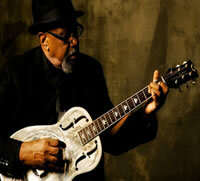 On top of prodigious instrumental prowess and three incredible singers in Bill, Junior and Chaney, the strength of the Heritage Blues Orchestra comes from rich experience and the simple refusal to segregate the elements of the African-American musical canvas. The band members’ collective history in blues, jazz, R&B and gospel and the passion, pride, talent and musical wanderlust that consumes Bill and Junior and so thoroughly inflames Chaney make the Heritage Blues Orchestra the most exciting African-American roots group to come along in a very long time. Even as you sense just how heavily steeped Bill and Junior are in tradition, you’ll marvel at how boldly they, together with Chaney Sims firebrand Chaney, march into the musical land of the new and nameless. Right from track one of their debut disc, a propulsive rendition of Son House’s Clarksdale Moan, the Heritage Blues Orchestra stomps and lurches like a ravenous alligator emerging from a Mississippi swamp. You can just about feel the soil sifting off of these earthy tracks as the band digs into Son’s song, the immortal Muddy Waters classic Catfish Blues, Leadbelly’s Go Down Hannah and a heap of traditionals and originals. With the deep blues and gospel that Bill Sims, Jr. and Junior Mack carry with them—and the commanding shuffles of Kenny “Beedy Eyes” Smith, one of the most in-demand blues drummers in America (and son of Muddy’s longtime drummer, Willie “Big Eyes” Smith) this recording leaps out of the speakers as an inspiring testament to the enduring power and boundless beauty of African-American music. The album’s sonic tributaries wind in and out of field hollers and work songs, finally emptying into the epic that closes the album: Hard Times, which begins with a creepy crawl and the sumptuous singing of Chaney Sims and ends with the most roof-raising rock on the album. But just when you get ready to apply the “roots record” genre tag, in come the positively Ravel-ian, Debussy-ian chordal contributions of saxophonist and horn arranger Bruno Wilhelm. The gorgeous, dense-yet-dreamy horn arrangements by this highly esteemed composer/arranger immediately set this album apart from any other toe-tapping record you’ve heard. A native of France, Wilhelm is influenced by an extensive palette of jazz styles. Whether with ethereal musings or hard-hitting section work, his arrangements punctuate every song they touch. He is flanked by the Big Apple’s heaviest horn players (who have worked with everyone from Wynton Marsalis and Sting to Lenny Kravitz and Bruce Springsteen), successfully and stunningly mixing with the field hollers and blues backbeats alike. This union of raw, gritty African-American music with the tonalities of modern jazz and Western European classical composition sure sounds like something new—and yet Miles Davis (whose In a Silent Way makes a bewitching appearance within the aforementioned track Hard Times) and Duke Ellington were smitten with those same pioneers of classical impressionism. New York and Paris have been engaged in musical exchange for a long time, and the Heritage Blues Orchestra—anchored by New Yorkers Mack and the Sims family (via Georgia) but also boasting two Frenchmen in Wilhelm and harmonica wizard Vincent Bucher—continues and expands that tradition. The Americans here, as deeply rooted as they are in country-blues and gospel, have long gazed across the Atlantic with admiration for the harmonies and voicings that originated in Europe, and the Europeans here have been wearing out their vinyl records of American blues and gospel all their lives. The Heritage Blues Orchestra is no cross-cultural experiment or academic concept—this is one happy marriage, and their joy jumps out and yanks your feet to the floor in a sympathetic stomp to the beat. And Still I Rise drives us down Hwy. 49 from Clarksdale to New Orleans, fueled by the ghosts of the blues and dreaming of the City of Lights. What begins as a loving celebration of the past emerges as a whole new adventure in music. 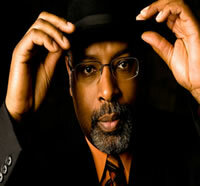 This is the exhilarating sound and the exciting arrival of the Heritage Blues Orchestra. Bill, Chaney and Junior's collective history in jazz, R&B and gospel help articulate and underscore the Heritage Blues Orchestra's striking voice. At the heart of the group is a broad spectrum of the blues and the long standing musical mingling between America and Europe that brings together African-American music, Modern Jazz and Western European harmony. Nowhere is the breadth of Heritage Blues Junior Mack Orchestra's vision and reach better evidenced than on the album's closing piece, Hard Times. This song, in 3 movements, demonstrates it all: the traditional call-and-response between a lone voice and guitar; a bewitching horn composition peppered with Miles Davis' A Silent Way; and a final transition to a roof-raising funk jam that leaps out and shoves you onto the dance floor. This group is an inspiring testament to the enduring power, possibilities and boundless beauty of African-American music.